Engineering education in India starts after class 12 and is imparted through colleges and universities labelled as engineering colleges. India is one of the largest pool for engineers in the world. An education in Engineering offers a wide range of career opportunities. Lacs of students apply for B.Tech and BE admissions in engineering colleges in India, but the admission process is tedious. Students have to prepare themselves during 11th and 12th class and then take up state and national level entrance exams. The Indian Institutes of Technology (IITs) and National Institutes of Technology (NITs) are considered to be the best in the country and thus the graduates from IITs and NITs earn much more as compared to the graduates of other engineering institutes as engineers from IITs and NITs are technically better skilled and more innovative. Apart from these there are another almost 3000 engineering colleges in India offering undergraduate, postgraduate and doctoral courses in Engineering. 330 of these are Government engineering Colleges; rest almost 2700 are private engineering colleges. A lot of them are old and quiet acclaimed. Amongst the top Private engineering colleges in India are BITS Pillani, Vellore institute of Technology (VIT), Manipal Institute of Technology (MIT), Thapar University at Patiala, PSG College of Technology, Coimbatore, and many others. Thus engineering colleges in India are aplenty. Undergraduate courses for engineering are Bachelor of Technology (B.Tech) and Bachelor of Engineering (BE). The Course duration is four years including 8 semesters of six months each with a university exam at the end of each semester. One has to pass all the exams before degree is conferred. Placements are usually conducted in the fourth year of the course. The Indian Institutes of Technology (IITs) were setup in early fifties to facilitate engineering and technical higher education in India after independence and are twenty three in number today. They have been declared as Institutes of National Importance by the Parliament of India. The IITs were formed with the aim of developing a skilled workforce to support the economic and social development of India after independence in 1947. Each IIT is an autonomous university, governed by a common IIT Council, which oversees their administration. They have a common admission process for undergraduate admissions, using the Joint Entrance Examination called JEE Advanced to select around 8,200 undergraduate candidates a year. Postgraduate admissions are done on the basis of the GATE, JMET, JAM and CEED. These are another set of 31 colleges, also called NITs, which offer undergraduate engineering courses in India. NIT council is the governing body of all NITs and they all offer courses in engineering, architecture, management and science. NIT Tirchy, NIT Warangal, NIT Patna, NIT Rourkela, NIT Durgapur, NIT Kurukshetra, NIT Silchar are some of the popular NITs across India. Out of the total, 21 NITs are among the top 100 engineering colleges of India. NITs offer both B.Tech and M.Tech degrees across India as well as offer 5 years dual degree programmes in various fields. 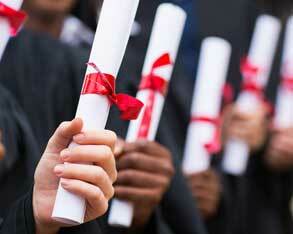 NIT Trichy, NIT Allahabad and NIT Rourkela have management schools offering BBA and/or MBA. 5 years integrated courses like BArch and 4 year BSc degrees are also taught in some of the NITs. Courses are offered in Civil Engineering, Computer Engineering, Electronics Engineering, Electrical Engineering, Mechanical Engineering, Electrical Engineering, Metallurgical Engineering and many others. These are a group of colleges of higher education in India, which offer course in Information Technology. Many of the courses offered are as B.Tech. Five of these were established by Ministry of Human Resources; rest have been established up on Public Private Partnership model. There are 23 in total through out India. Admissions to undergraduate programs at IIITs are conducted through the NEET Mains and then counselling is done by Joint Seat Allocation Authority (JOSAA) There are almost 4000 seats in these 23 colleges. Candidate must have passed 10+2 or equivalent examination with Physics, Chemistry, Mathematics and English as separate subject with an average of 50-60 % in PCM combined. A minimum 50 % in English either in class 10 or 12 standard is required for all the candidates. The criteria will vary from one place to the other but these are the main criteria around which the admissions revolve. Admissions to Engineering colleges in India are conducted at national and state level. Some institutes like VIT and SRM conduct their own institute specific entrance exam. Bachelor of Technology (B.Tech) course is a four year professional degree course, divided into eight semesters. The course is constituted by a mix of class room studies which includes lectures, seminars, practicals, projects/research work and industrial training. The first year of study is common for all BTech students. In the remaining years students study subjects as per their chosen of specialization and in the final year of study students are given a choice of elective subjects as well as provided opportunities for industrial training. Once a student has decided which exam to appear for, then the prospectus and related information of each exam has to be studied, admission forms to be filled up, required fees for forms has to be paid and then the entrance exam has to be taken. The application process is mainly online these days. The tests could be online or offline mode. Once the results are declared, then the student has to again fill up the counselling forms according to eligibility for various colleges and wait for the merit list and allotment to be announced. Usually counselling is conducted in many rounds. Once a seat is allocated, student shall show the necessary documents, pay the semester fees and then get admission to the engineering college. Following is the BTech and BE admission guide for the year 2019 for aspirants wishing to pursue engineering courses across top colleges and universities in India. Joint Entrance Exam JEE (Advanced) is a common admission test for candidates wishing to apply admission in IIT. In order to be eligible candidates are first required to clear JEE (Main) exam. JEE (main) is conducted by NTA while JEE Advanced is conducted by IIT's on a rotational basis each year. It is usually held in the month of June and the top 1,50,000 scorers in the mains exam are granted eligibility for the advanced test. The paper is objective in nature with subjects of Physics, Chemistry and Mathematics and duration of three years each for each paper. Candidates who have qualified the JEE Main exam are eligible to apply for B.Tech admission in NIT. The Central Seat Allocation Board is given the responsibility of admission in IIT. Admission is conducted on the basis of JEE main exam rank. BITSAT, undergraduate level entrance exam is conducted for B.Tech admission in BITS Pilani and its associate institutes. Candidates who have secured a minimum aggregate of 75 percent marks with subjects of Physics, Chemistry and Maths in class 12 exam are eligible to apply for admission. Board or state toppers can apply for admission directly. There are selected on merit quota. Selection for other candidates is based on BITSAT score and class 12 marks. Aligarh Muslim university conducts a common entrance exam for B.tech admission in AMU. The minimum eligibility for candidates is class 12 with subjects of Physics, Chemistry, Mathematics and English and minimum percentage of 50 percent marks. Admission to B.Tech course in Anna university is based on the marks obtained in subjects of Physics, Chemistry and Mathematics in class 12 exam. Admission to four year B.Tech course in BHU is done through Joint Entrance Exam (JEE Advanced) conducted by IIT's and Indian School of Mining Dhandbad. In order to be eligible candidates are first required to clear JEE (Main) exam. Conducted in the month of June the top 1,50,000 scorers in the mains exam are granted eligibility for the advanced test. B.Tech admission in Delhi Technical university is based on merit in JEE (Main) exam. Students who have passed class 12 exam with minimum percentage of 60 percent marks in subjects of Physics, Chemistry and Mathematics are eligible to apply. JMIEEE is an entrance test conducted by Jamia Millia Islamia for admission to B.Tech courses. Candidates aged between 17 and 23 years of age and those who have completed class 12 from recognized board with minimum aggregate of 50 percent with PCM subjects are eligible to apply. The selection of the candidates is based on two major factors. One is written test (85% weight age is given to that) and the second is interview (15% weight age is given). Panjab university conducts B.Tech admission on the basis of performance in JEE main exam. Students who have qualified the exam and those who have posses a diploma in any Engineering trade from the Punjab State Board of Technical Education & Industrial Training, Chandigarh or Sant Longowal Institute of Engineering and Technology, Longowal (SLIET), or an equivalent examination from any other recognized State Board of Technical Education are eligible to apply. SRM Entrance Test is conducted for admission to B.Tech in SRM university. Candidates have an option of selecting either paper-pencil or online mode for entrance test. Students who have passed class 12 with minimum of 70 percent in subjects of Mathematics, Physics and Chemistry are eligible to apply. VITEEE is conducted for B.Tech admission and candidates who have completed class 12/intermediate or two year pre- university exam from a recognized board with a minimum aggregate of 60 percent in PCMB subjects are eligible to apply. Only the top 150,000 scores in JEE Main are eligible to sit for JEE advanced. Admissions will are based on Joint Entrance Examination (Main) Score and on Class XII or equivalent qualifying examination with an aggregate of 75% marks in Physics, Chemistry and Maths. It is very important to decide as to which private colleges to apply as each private college will a different system of admissions. A few of the private colleges will use the JEE Mains score card and some will conduct their own exams. The domicile requirement at state levels have to be followed for government engineering colleges. The fees in private colleges is more than the Government engineering colleges. The counselling process for many engineering colleges is conducted by JOSAA and their web site has to be followed carefully. There are other websites which give good information like mynextexam.com and thus can be referred to. Find colleges, date of competitive exams & related information just at the click of a button. Select your Exam/Exams as Favourite. We will notify you about all Dates and Details related to your favourite exam/exams. You can choose upto 10! Ask a Question and the community will answer you! You can also help your fellow students by answering their queries! Need Guidance about your Career .... Take instant online Career Counselling Tests and be guided by an experienced Career Councillor! Please provide your Mobile Number to Sign Up/Login on My Next Exam. Please provide your Password to Login on My Next Exam. Copyright © 2019 My Next Exam a Division of RabKaps Technologies Pvt Ltd.